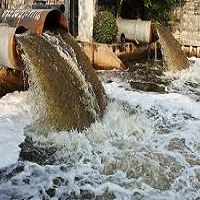 Industrial Effluent means outgoing industrial waste through various outlets like pipes. Products that are manufactured and processed of which the waste is treated and disposed accordingly. Some chemical plants have storage ponds to hold their liquid effluent but you can still see the gas coming out the smokestacks. Industrial wastewater treatment means treating waste water that have been contaminated by industrial activities so that it can be reused or disposed. So it is very important to remove waste from the effluents so that water can be ready to be reused.